Every marriage tends to consist of an aristocrat and a person, of a teacher and a learner. When you talk to a younger man, you mostly listen. He endlessly tells you about his hopes and dreams about what he is going to be when he grows up and the great things he is going to accomplish. He worries and wonders about whether or not he will be successful and about whether or not he will be as successful as you are or more so or less. The older man knows what he is going to be when he grows up. His potential is fulfilled, or at least as fulfilled as it is going to be, and he must come to terms with that fact. When he does, then he can help you to fulfill your own potential. 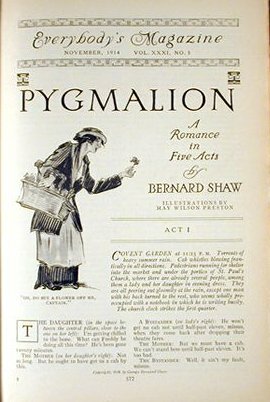 The older man needs to play Pygmalion. Let him. Learn from him. Whether he is being magnanimous in sharing his success or is anxious to try and live again vicariously through you, he will be sincere in wanting what is best for you. All successful people need mentors as well as collaborators. Being a generation older, the older lover is not competing with you as are men of your own age group. The older man will rightly extract some exchange for his help, if only deference to his wisdom, but his help may well be worth it. The role of mentor is not unlike the role of parent or of coach, but those roles can be loving and fulfilling for both parties. Besides, there is some built-in exchange in that you also teach him, if he is wise enough to learn. You share your youth with him, which helps keep him young; and you bring to him a new perspective—the same world, but viewed through the eyes of another generation. Being independent is very important for women. Some of the lucky ones have had independence training since they were three years old and have learned to manage for themselves very nicely. But always being independent, like always being exactly equal, is both unnecessary and exhausting. Couples need to lean on each other—at least loving couples should. There is nothing wrong with letting yourself be emotionally or psychologically dependent on your lover at least part of the time. If your lover is as young and as inept as you are yourself, then you may find yourselves like two clinging vines with nothing to cling to. The older man lets you lean on him sometimes and does not mind your weight. If you are lucky, he will even have learned to lean back sometimes and to draw on your strength, a luxury he can afford because he has nothing to prove. You are on a roll with this “older man” theme. Great subject matter. I am enjoying them. This one is especially interesting. Thank You! Thanks for your comment. Glad that you have enjoyed them. Next week I am planning a series of posts on the pros and cons of women choosing a younger man as a lover – take note Cougars. I hope you enjoy them as well.